Have you ever wondered why your phone run so slowly? What’s worse,sometimes even a simple click would take a lifetime to respond which indeed could drive you mad. 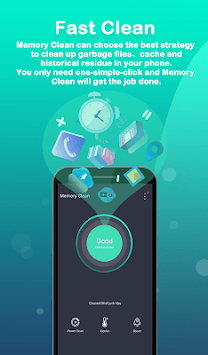 Memory Clean can choose the best strategy to clean up garbage files、cache and historical residue in your phone.You only need one-simple-click and Memory Clean will get the job done. 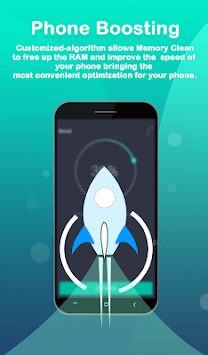 Customized-algorithm allows Memory Clean to free up the RAM and improve the speed of your phone bringing the most convenient optimization for your phone. 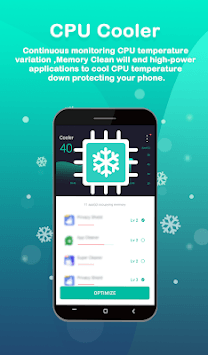 Continuous monitoring CPU temperature variation ,Memory Clean will end high-power applications to cool CPU temperature down protecting your phone. Show the current charging status and then reduce power consumption intelligently to accelerate the charging process. Delicately designed fresh user interface, simple and beautiful,and very easy to get start with it.